The Environmental and Maintenance Services Center (EMSC) houses the District’s Analytical Services, Sewer System Maintenance & Operations, Water Quality and Industrial Surveillance, Inventory Control, Building Maintenance, and Fleet Services departments. 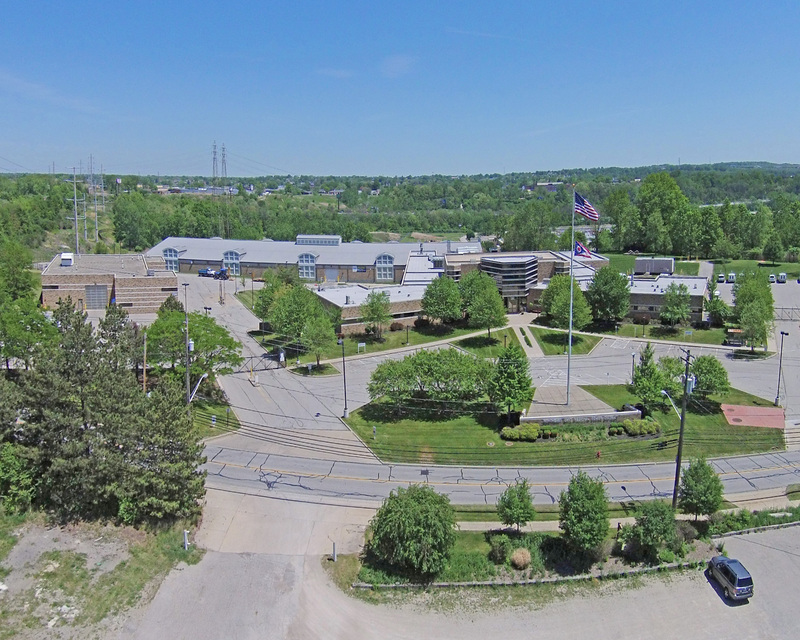 It is located in Cuyahoga Heights, adjacent to the Southerly Wastewater Treatment Center. Analyzes water, wastewater, industrial waste and surface water each year in one of the state’s largest laboratories. Provides maintenance services to the various District building and facilities. Maintains District-owned vehicles, as well as gas and diesel powered equipment used in the plants and other pieces of motorized equipment. Stores, purchases, controls and delivers maintenance parts and supplies required for all of the NEORSD’s water pollution control facilities. Maintains and inspects more than 280 miles of interceptor sewers, approximately 500 fixed weir regulators, and a network of 25 rain gauges, 29 automated regulators, and 130 level and flow monitoring sites to minimize wet weather combined sewer overflows. Conducts inspections along the regional stormwater system, keeps track of a stormwater asset’s condition, defines criticality and Business Exposure scores and identifies buildings and roads that may be affected by flooding, erosion or debris. Provides data analysis, quality assurance and data quality control functions for wastewater and stormwater assets. Monitors and samples discharges into the wastewater system for more than 1,000 industrial users, and enforces USEPA’s pretreatment program regulations for industrial users.